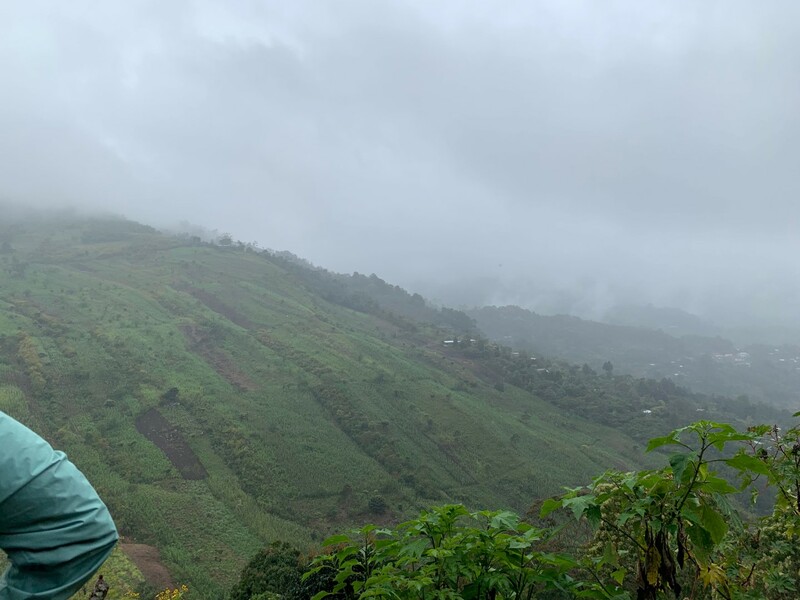 In mid-February, Orinoco Coffee & Tea employees Vanessa McCallister and Juan-Carlos Ramirez visited Chiapas, Mexico, to take part in an annual origin trip organized by Fair Trade USA. Every year, Fair Trade reaches out to its global partners, inviting two team members from each company to take part in a Fair Trade origin trip; an enlightening opportunity to explore coffee cooperatives throughout the world. 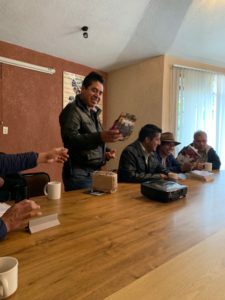 This particular journey welcomed representatives from six different coffee companies to tour three different Mexican cooperatives: CESMACH, U.E.S.F., and Unión Majomut. Majomut, interestingly, is not just one co-op, but an association that unites coffee-growing families in 35 indigenous communities throughout Chiapas. 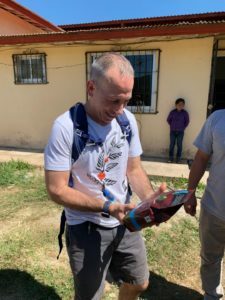 It was also of particular interest to the Orinoco team, as it is the source of the Fair Trade Organic Mexico green bean the company roasts, bags, and sells stateside on a daily basis. 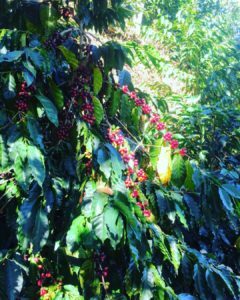 A significant leg of the journey allowed the Orinoco team to visit the coffee growing communities that produce the signature beans the company is known for. While doing so, so much was learned about the local farmers whose very lives depend on this trade. Their love for their land and the pride they have in their farms helps drive them to work under the demanding and at times unforgiving, conditions. 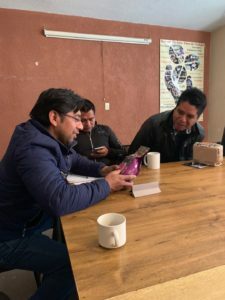 The ever-changing price of coffee and the presence of larger companies poses a monumental struggle for countless Mexican coffee farmers, who work for an income too low to sustain a family. Cooperatives have provided a solution, unifying the farmers and providing them with a democratic means of gaining a stronger foothold in the marketplace. Composed of the farmers themselves, co-ops serve as a go-between for farmers and exporters, working to ensure that coffee producers receive a fairer and more balanced price for their tireless work. Like Orinoco, the farmers in these co-ops believe strongly in legacy. The co-ops specialize in producing Certified Fair Trade Organic coffee, and the absence of chemical fertilizers allows them to care for the land as their ancestors did. The intimate connection with nature was evident in each farm Orinoco visited. “To see the passion these farmers have, the work they do, and the programs that have been set up in the communities to not only to help the women, but the next generation, as well, was wonderful,” said Vanessa. To learn more about Fair Trade, visit www.fairtradecertified.org.